Teens are one of the hardest age groups to please, but a Kingpin Bowlounge Birthday Party will leave them talking, tweeting, taking selfies, and for all the right reasons! 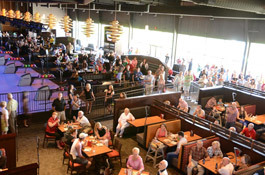 Our state-of-the-art venue will have them celebrating in style! With over 100+ menu items, we are sure to please any picky appetites too! No matter your age, everyone should celebrate the achievement of tackling another year! It's a rite of passage, so why not do it in style at Kingpin Bowlounge! 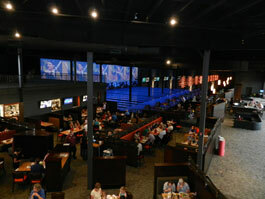 Celebrate with chic and flexible event spaces, state-of-the-art bowling facilities and an amazing patio. Private and full-service bars available to help you toast to the many years to come. From stag party to high school reunion, we've got you covered! Make the evening memorable with a party venue as unique as your event. 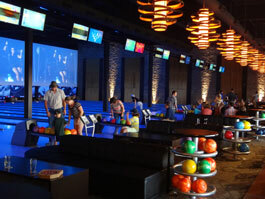 Our private party areas are designed to create intimate social spaces, all while keeping you in the middle of the action and excitement that is Kingpin Bowlounge. Our party planners are able to build a packages as distinct as your function.